Kurs 12V LED flexible reading light (light output equivalent to an 8W halogen bulb) for use in motorhomes, vans, campervans, caravans, boats etc. 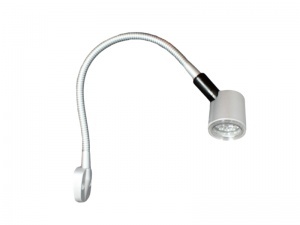 Finished in matt silver with a 330mm flexible arm, this reading light has an integrated on/off switch and a tilt and swivel head (tilt 90º, swivel 300º). 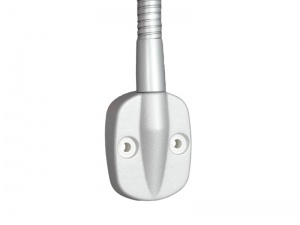 This is a really nice looking light and ideal for use over sleeping areas or chart tables. A good product, easy to order, it came quickly and does the job, our only criticism is that it looks plastic (which is what it is) and we would have preferred metal as it was installed as a decorative bedroom reading light but this was the best thing we could find. 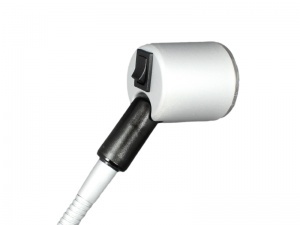 Nevery used 12 Volts before, order came quickly, correctly and products are of a good quality, will use them again.